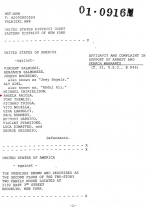 JANUARY 27--This season’s breakout star on “Mob Wives,” VH1’s hit reality series about big-mouthed molls, is a convicted felon who was caught repeatedly selling cocaine during the course of an undercover Drug Enforcement Administration probe targeting a mob-tied drug ring operating in New York City, The Smoking Gun has learned. 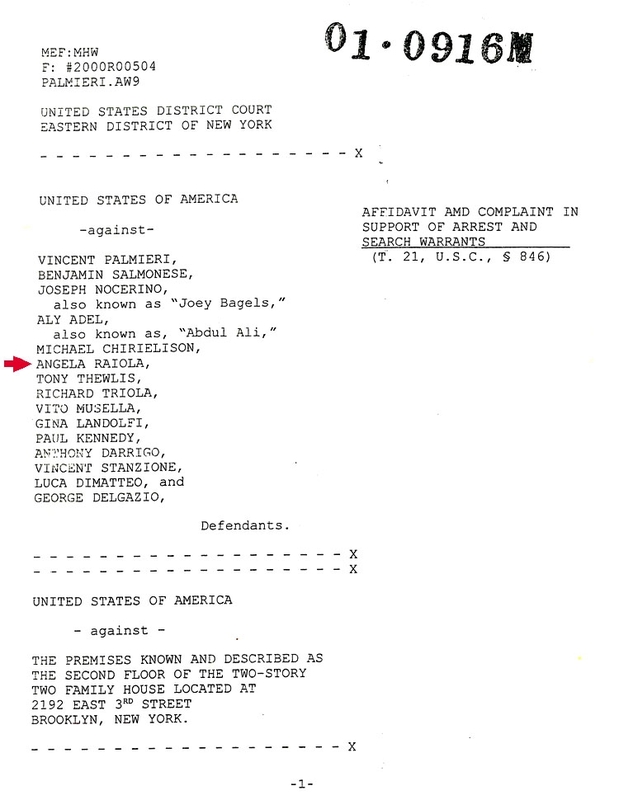 Angela Raiola, nicknamed “Big Ang,” was one of 15 defendants indicted--and later convicted--for their roles in the narcotics operation, which distributed crack cocaine, powdered cocaine, and marijuana in Brooklyn and Manhattan, according to court records. 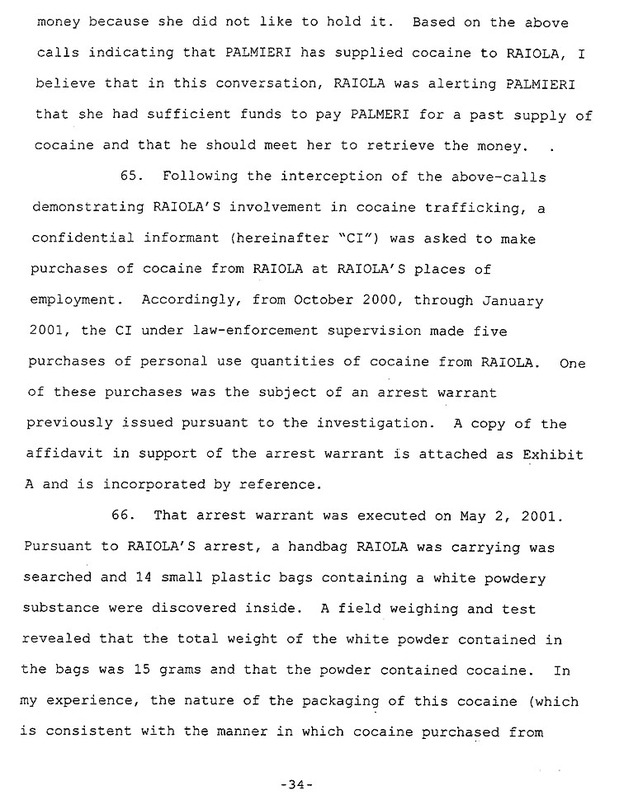 The case against Raiola and her codefendants was built with the aid of wiretapped conversations, the work of an undercover NYPD detective posing as a drug trafficker, and a confidential informant (CI) who made cocaine buys at the direction of federal agents. 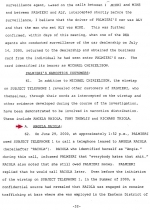 Some targets of the federal investigation were low-level associates of the Colombo crime family. 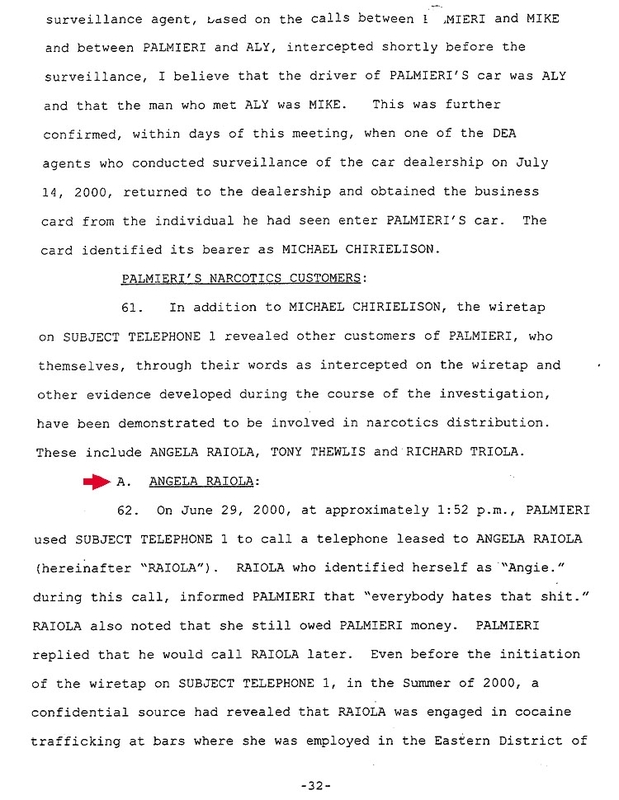 Raiola was indicted in May 2001 on six felony counts. 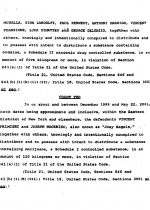 Along with a conspiracy to distribute charge, she was hit with five counts related to separate cocaine sales she made to the CI. 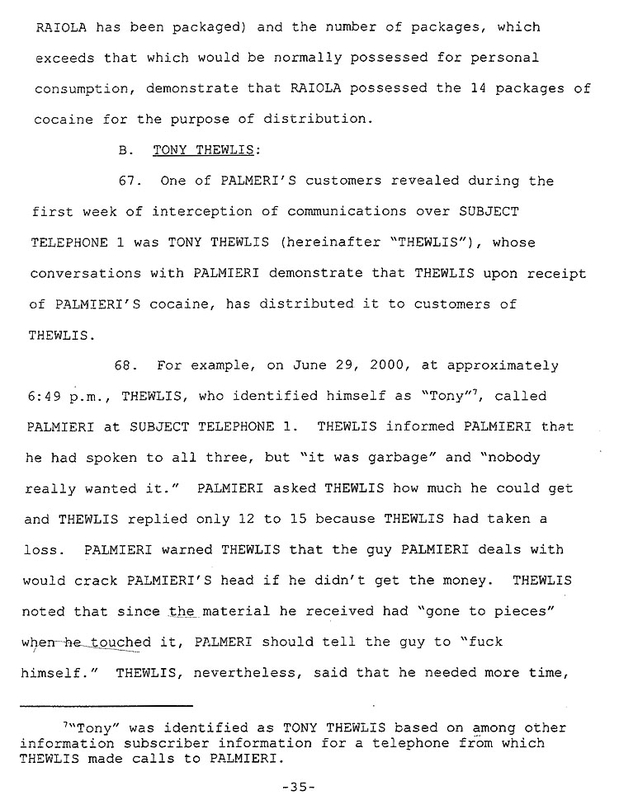 At the time of her arrest, Raiola’s handbag contained 14 small plastic bags containing cocaine. 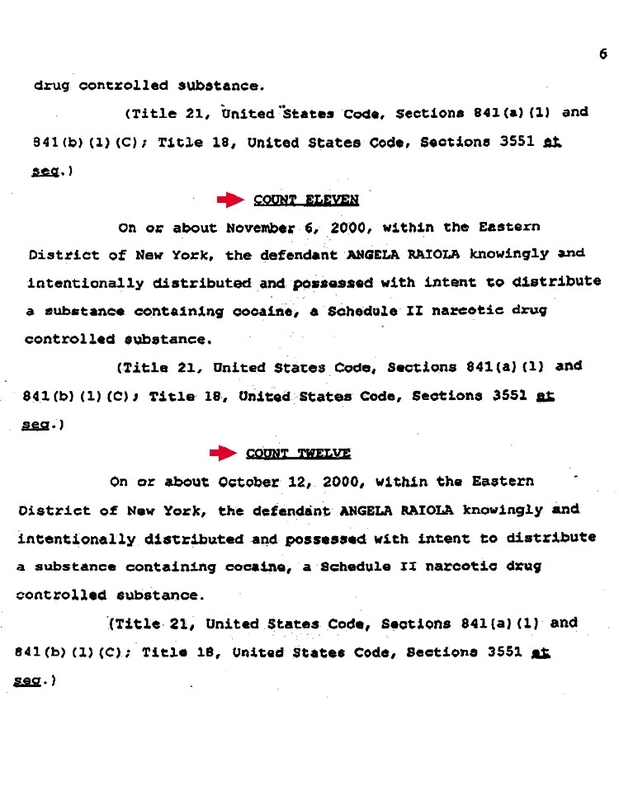 In March 2003, nearly two years after her arrest, Raiola--who was free on $100,000 bond--pleaded guilty to the indictment’s top count. 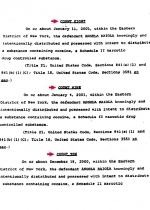 In October 2003, she was sentenced to three years probation and ordered to spend four months under home confinement. 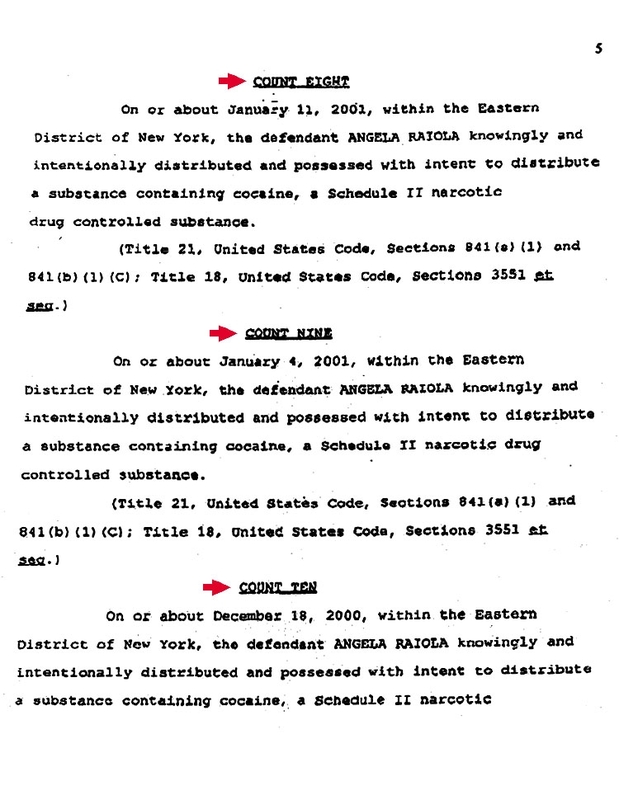 Nine months later, in July 2004, a federal judge issued an order modifying Raiola’s probation conditions. 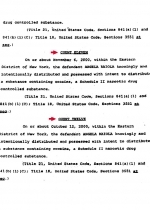 She was directed by Judge Sterling Johnson to enroll in “an outpatient and/or inpatient drug treatment or detoxification program.” Court records do not indicate what prompted this order. 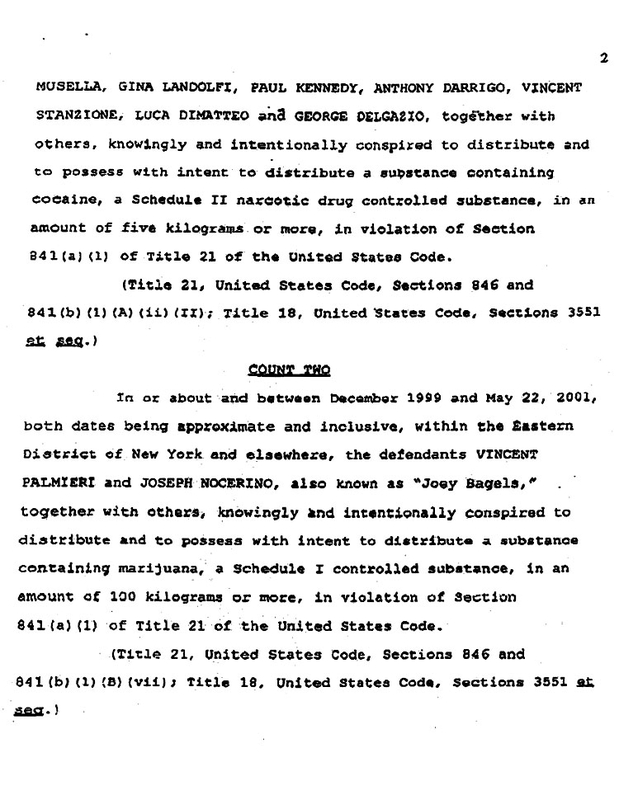 Of the 15 defendants indicted in the drug case, nine were sentenced to probation. 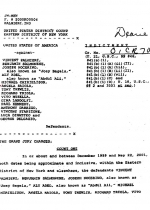 The other six received prison terms ranging from 33 to 151 months. 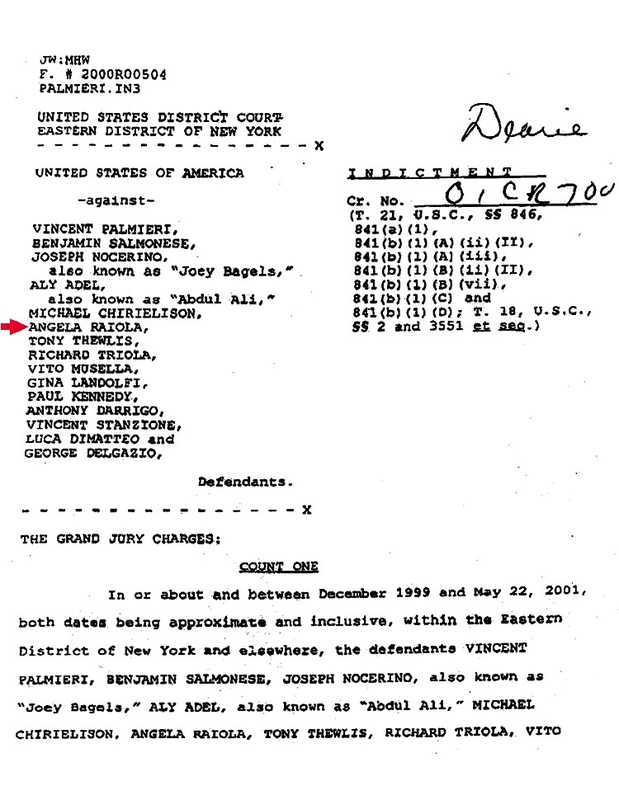 Court records show that, during the two years between her indictment and sentencing, Raiola was allowed to travel outside the New York metropolitan area on eight separate occasions. Her destinations included Spain, Puerto Rico, Las Vegas, Saint-Tropez, and Florida (where she spent a Thanksgiving). With her surgically enhanced breasts, artificially plumped lips, and a laugh that recalls Herman Munster, Raiola has quickly become one of reality television’s most distinctive performers. On a recent “Mob Wives” episode, as she tended to a skillet brimming with sausages, the Staten Island resident spoke of her affinity for handsome gangsters. Wiseguys, she revealed, have bought her houses, furs, diamonds, and cars. As for what they got in return for such generosity, well, Raiola did not offer any insight.